These items will be used at the altar of Our Lord. Our Goal is to raise about $5,ooo to help them cover this cost. They are completely dependant on alms as they do not receive any money from the diocese. If you feel called to financially help them in this capacity, please let them know directly. Just let them know that you are donating on behalf of our little group, The Carmelite Helpers. 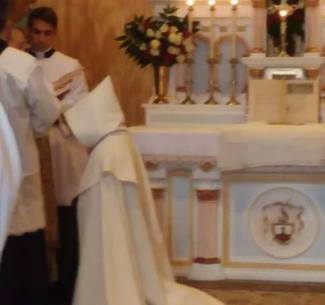 I will be posting another post with details on the ordination of Br. Deacon Thomas Mary as soon as I have more details.